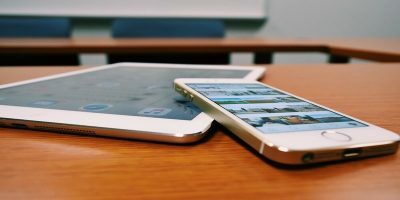 The loss of data is one thing nobody wants to be a victim of, but due to the nature of technology, it does happen. Unless you have a really great backup system that backs everything up for you every day, you might suffer the consequences of losing data. However, recently some apps have been developed that allow you to recover your lost data. 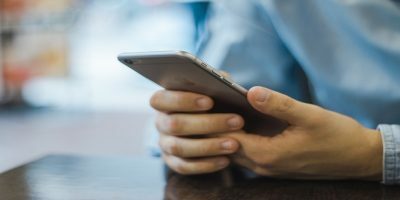 What these apps do is try to recover the data from your devices that is not completely deleted … yet. 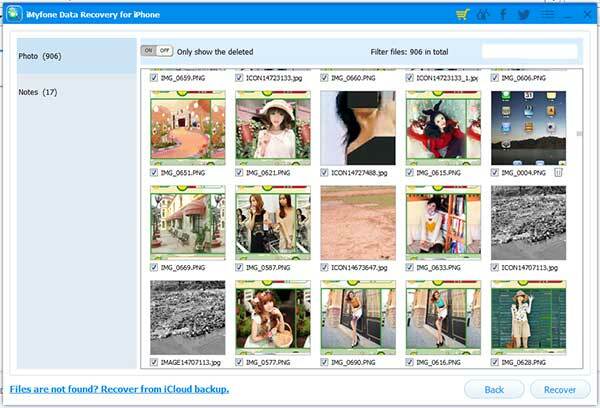 iMyfone iPhone Data Recovery software is one of those apps that help you recover data from an iPhone. 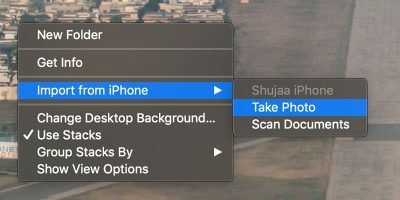 The aforementioned app works on your Windows-based computer and lets you recover data from various sources for your iPhone. For instance, it can check your iPhone, your iTunes backups, and even the iCloud backups to help you restore the files that you have lost. Here’s a walkthrough of the features of this app. Maybe you just want to recover specific files and not everything that you lost. Well, the app helps you do exactly that. On the main interface, you will find various options as to what you wish to recover on your iPhone. You can select from options like text message, photo, video, call history, contact, WhatsApp history, notes, bookmark, and calendar. It includes just about everything you have on your iPhone. 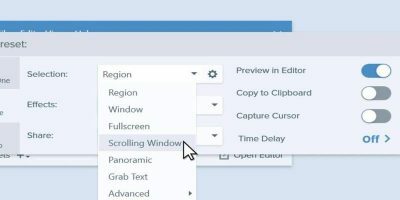 If you wish to recover everything mentioned above, click on “Select All” on the top and all of these recover options will be selected. If you are not sure where your lost files actually are, you can ask the app to perform a search on various data sources. 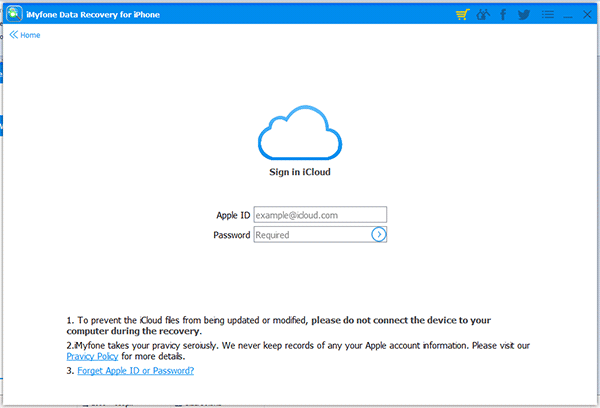 This includes scanning your iTunes backups and iCloud backups to see if the file or the files that you are looking for are available there. If they are, the app helps you get them back on your device. 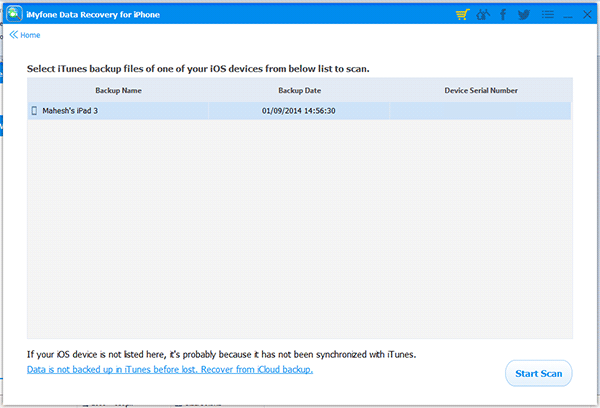 If you did not find the files you wish to restore in the iTunes backup, you can then let the app to use your iCloud account for scanning the backups in the cloud. 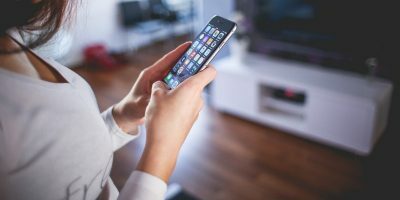 When you do so, make sure your device is not connected to your computer, as it can modify the files stored in your iCloud which could cause issues in performing smooth scans. Finally, if the app helped you find the lost files, and you are interested in seeing if they are the exact files you wanted to get back, you can explore them by using the preview feature. The feature lets you preview your lost files before you recover them. That way you know what files you are recovering. 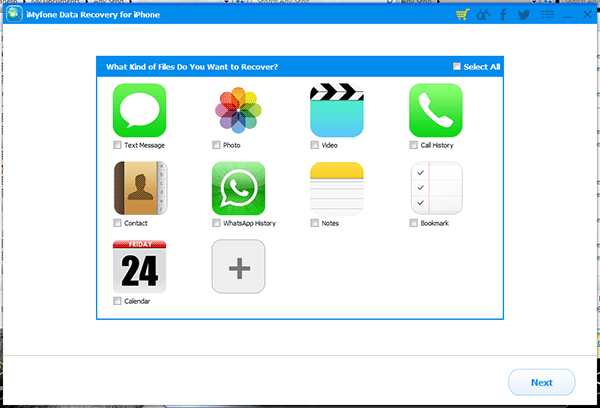 You can select the files you wish to recovery, and then click the Recover button for the app to restore those files for you. 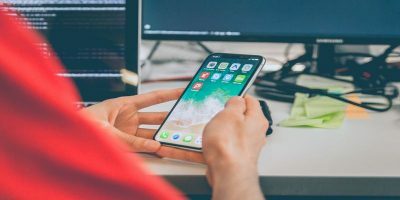 While the iPhone recovery apps are a dime a dozen, the one mentioned above works just fine and gets the job done for you. Thanks to iMyfone Technology Co., we have 15 licenses to give away. To participate in this giveaway, all you need to do is connect with your email (so we can contact you if you are the winner). This will earn you a single chance. You can also share this article to earn additional chances of winning a unit. This giveaway contest has ended. The winners have been notified of their winning. Thanks to iMyfone Technology Co. for the kind sponsorship. If you would like to sponsor a giveaway, contact us here.